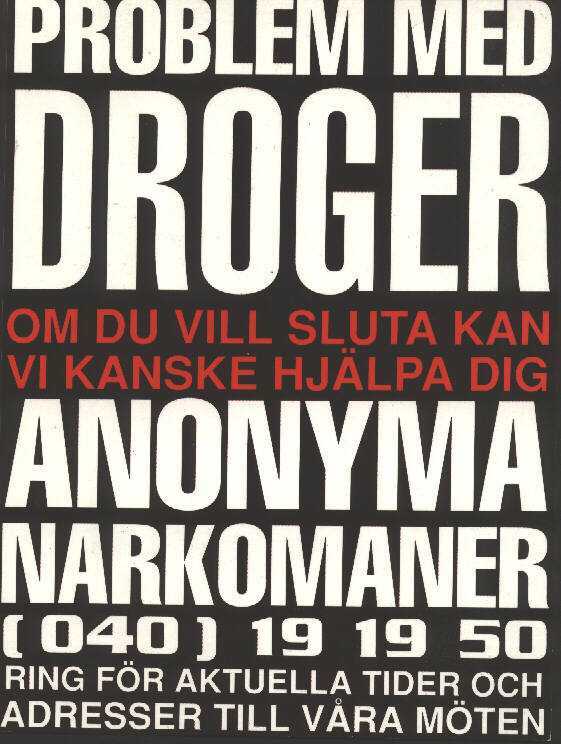 Posters are used to inform the still-using addict, and the community at large, of what Narcotics Anonymous offers, how and where to obtain help or additional information, and when and where local meetings are held. Phoneline numbers and/or meeting places (open meetings only) may be listed in posters and flyers. The posters and flyers your committee chooses for posting may also be used in newspapers. Public information work carried out via newspapers and other forms of media is discussed in more detail in the section on public service announcements. The following guidelines have been compiled from the experience of PI subcommittees throughout the fellowship. Read them carefully before you begin posting posters and flyers. Too see samples of actual NA posters, please go to our Poster Samples page. Choose a poster coordinator and assistants. Divide the area into smaller, geographical areas for which one PI committee member, agrees to be the contact person. This commitment involves determining where to place posters and flyers, how many will be needed for that person’s particular geographical area, and being responsible to see that they are posted. Decide on a size for your flyer. Some areas use a standard size piece of copy paper. Other areas use 1/3 that size because it fits easily into a standard business envelope or to save money. These can be used with a mailing project to get NA’s phone number to places that might refer addicts to NA. Your committee may use the name “Narcotics Anonymous” on your posters and flyers. 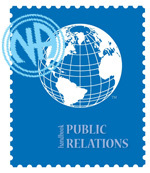 For public information, we prefer to use the full name instead of the NA initials or symbol alone. Many areas place date in small print in one corner to help keep track of different versions. Work through your ASC and RSC PI Subcommittees to be sure the meetings being listed are aware that this activity is going on. They must be ready to handle a possible increase in new member attendance. Arrange for printing the posters and flyers and provide them, along with guidelines for each person who will be posting, to the contact person. Post five to six posters or flyers at each location, if possible, so that interested people may take one, if desired. Larger numbers are suggested in some places—it is left to the discretion of the contact person to determine this depending on the size and location of the facility. Mount posters and flyers at public institutions where large numbers of people will see them. Generally, permission is necessary; So it is best to always ask before placing our posters. DO NOT put posters on telephone poles, trees, fence posts, etc., nor leave them in public rest rooms. Many communities have laws concerning this type of activity. It is most important to use discretion in distribution as it can affect the reputation of the entire fellowship. Please also consider a bi-lingual, or multi-lingual, posters according to the population of your community. Treatment Centers, halfway houses, detox centers, etc. Ask permission and don’t post without permission. Remember that our public relations policy is based on attraction rather than promotion when designing artwork for the poster. Remember when distributing the posters, you are seen as an NA member. Conduct yourself accordingly. Keep your posters short and easy to read. Always include the full telephone number. Place your web address for an area or regional website if applicable. If possible, indicate what geographic area is served by the telephone number. Once a flyer is posted, it often travels somewhere else. Don’t go alone to post posters — there is less possibility of Traditions issues when two or more members are present. Don’t use provocative artwork on the poster. Don’t act as spokesperson for NA as a whole. Don’t take contributions from outside sources. Don’t refer to any outside enterprise, agency or fellowship. Don’t state an opinion or take a stand on any public issue.